Next week, I will participate in the 2012 Noprofit Technology Conference Science Fair hosted in San Francisco. 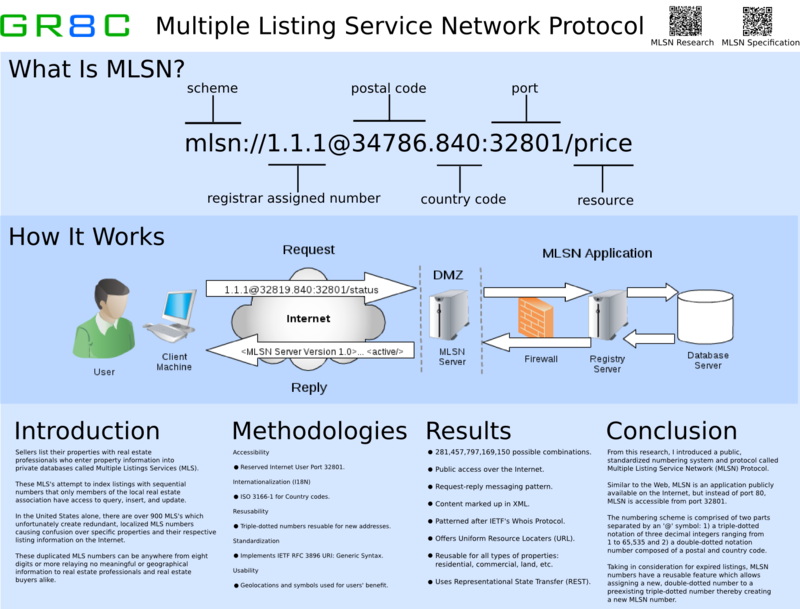 Below is the exhibit board I developed for depicting and explaining Multiple Listing Service Network Protocol. By clicking the exhibit image above, a larger version of the image is displayed.